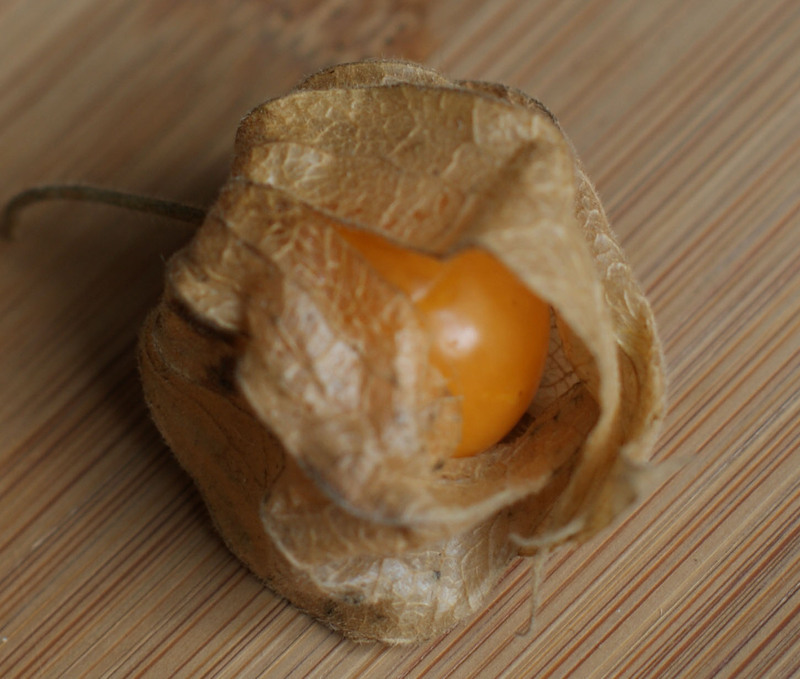 Awhile ago, my friend came back from a trip to Peru and brought me some fresh Aguaymanto (Physalis Peruviana). They looked like little orange tomatillos and are, indeed, related. 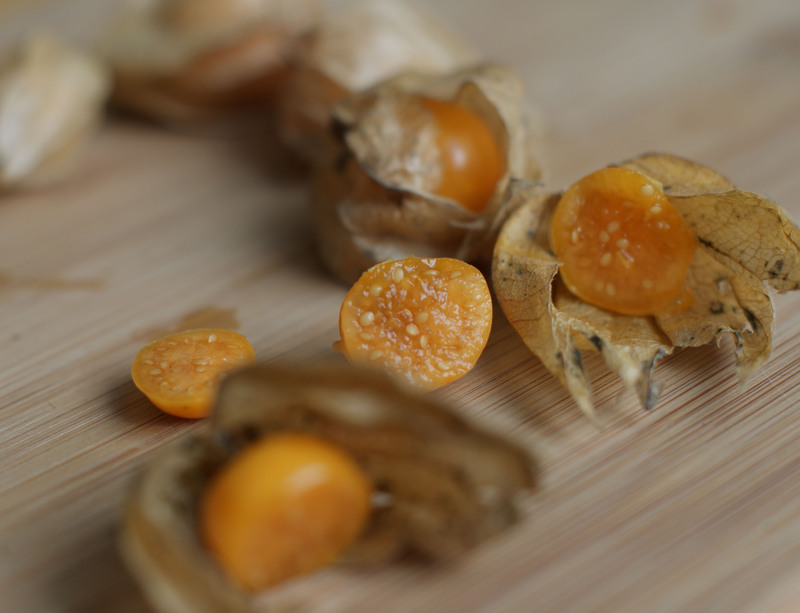 “Aguaymanto” is the Peruvian name for this fruit that is native to the Andes, but it is known here as the Cape Gooseberry and can sometimes be found in farmer’s markets in Autumn. The fruits – which are high in vitamin C – are a bit tart and filled with tiny seeds. They are popular in South Africa and New Zealand where they are often made into jams and pies. I was looking for a recipe, but just ended up eating mine before they spoiled, so I will be on the lookout for these little gems come October. In the meantime, if anyone has an idea about how to use them, speak up! This entry was posted on May 5, 2011, 10:11 pm and is filed under inspiration. You can follow any responses to this entry through RSS 2.0. You can leave a response, or trackback from your own site.